Reports of treasure-trove discoveries appear in the Russian media about twice a year. With its vast territory and tumultuous history of war, pillage and sudden power shifts, Russia is hardly a surprising destination for flocks of treasure hunters. Given the fact that Russia’s banking system developed relatively late and left people to bury valuables in the ground for safekeeping, Russia has become something of a treasure hunter’s paradise. In reality, treasure is discovered in Russia much more frequently than the press would have us believe. Current legislation, however, means that treasure hunters are generally better advised to keep quiet about their findings: any unearthed treasure must be equally divided between the finder and the landowner. If the find is thought to contain items of “cultural or historical significance,” half of the appraised value goes to the state, while the finder can claim only half of the remaining 50 percent. Moreover, the treasure is often fraudulently appraised, so the finder really only receives a fraction of the real value. Of course, this is not just about the money. Treasure hunters believe in fairy-tales, and, in their minds, they are never far from discovering a legendary find. RBTH details the 12 most sought-after treasure-troves in Russia. The renowned “golden suitcase” was actually black and, in documents, simply referred to as “Spetsgruz No. 15.” In 1926, around 70 silver Pontic and Bosporan coins, Genoese, Byzantine, Turkish coins, medals, gold plates, priceless antique jewelry, and other treasures from the 3rd through 5th centuries A.D. were discovered in a Gothic barrow and handed over to the Kerchensky archaeological museum. Fifteen years later, these artifacts were lost during the German Siege of Sevastopol. In 1982, research revealed that the suitcase had been taken to the Cossack village of Spokoynaya, where it fell into the hands of guerilla fighters. All of this took place while the region was completely surrounded by Nazi troops. It is believed the Nazis knew of the priceless hoard but were never able to pinpoint its location. Today, treasure hunters come from far and wide to try their luck, searching fields and mountains surrounding the village where guerilla troops were once based. The hoard has yet to be discovered. What to look for: 719 ancient gold and silver items with a combined weight of around 175 pounds. Where to look: Near the village of Spokoynaya, Otradnensky District, Krasnodar Territory. The story of Kolchak's gold is a legend amongst treasure hunters. Opinions differ as to what exactly happened and where the treasure is located. What is certain is that, during the Russian Civil War, the White Army declared Admiral Alexander Vasilievich Kolchak Supreme Ruler of the Russian state. His position as the anti-communist leader was backed up with a large portion of Russian gold reserves, which the white army had transported from Kazan to Omsk. At the time, a bank in Omsk estimated the gold reserves to have an overall worth of 650 million rubles ($20.8 million). However, when the gold was returned to the state after Kolchak’s defeat in 1921, a number of bullions were missing, and the reserves were valued at just 400 million rubles ($12.8 million). What happened to the 250 million rubles ($80 million) worth of Russian gold? According to Estonian soldier Karl Purrok, who served in the Siberian regiment of Kolchak's army, the soldiers were forced to unload the gold at the Taiga train station near Kemerovo and bury it. In the beginning of 1941, the NKVD (Soviet secret police) found Purrok and ordered him to travel from Estonia to help investigators locate the Siberian stash. After numerous excavations, the NKVD eventually gave up. The treasure is still waiting to be found. What to look for: Gold bullions. Where to look: Omsk city, Omsk Region; Taiga village; Kemerovo Region. Saint Petersburg thief Lenka Panteleyev made history in November 1922, when he made the first — and last —successful jail-break from Kresta prison. Having regained his freedom, Panteleyev decided to “go to work” for a few years before fleeing abroad. In just two months, he completed 35 armed robberies, killing his victims before making off with money, gold chains, bracelets, earrings, rings and other pocketed valuables. But Panteleyev never managed to leave the country. On the night of February 12, 1923, investigators tracked Panteleyev down and shot him on the spot. The riches he had accumulated vanished into thin air — at least, that is what Petersburg treasure hunters say. To this day, they continue their search all over the city's many underground hiding places, so far without success. Treasure hunters occasionally come across the stockpiles of modern-day gangsters, stuffed full of weapons, lockpicks, and other equipment essential to a life of crime; but the Panteleyev jackpot remains unfound. 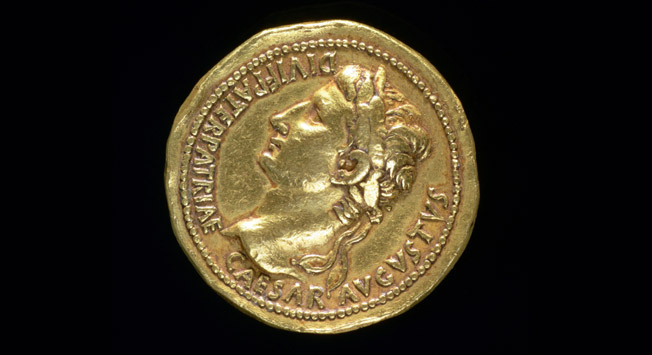 What to look for: Gold coins, jewelry. The Varyagin, a cargo-passenger liner driven by Captain Ovchinnikov and owned by merchant Aleksei Semyonovich Varyagin, wrecked in Ussuri Bay on October 7, 1906. The ship sunk almost immediately, leaving only 15 survivors, including the captain. Following the shipwreck, the merchant Varyagin sent an aide to the local governor to ask if the 60,000 rubles ($1,900) and “especially valuable cargo” on board could be compensated, “in light of exceptional circumstances.” The governor refused and, later in 1913, Captain Ovchinnikov led a salvage expedition himself. The captain managed to find the ship, but he also realized that he would need much more in the way of funds and manpower to recover the actual treasure. The second expedition was postponed due to storms; then WWI broke out, followed by the Russian Revolution. Thus, the first unsuccessful attempt to recover the sunken hoard was also the last. What to look for: Gold coins. Where to look: Vladivostok, Primorskiy Territory; Ussuri Bay, between the Tryokh Kamnei outcrop, Vargli Mountain and Sukhodol Bukhta Bay. A hefty portion of treasure found in Russia was hidden around the turn of the 16th century. Specifically, the Time of Troubles (1598 - 1613) produced especially valuable hoards of buried riches. In 1611, an uprising broke out against the occupying Polish in Moscow. The uprising was crushed and led to more pillaging by the Polish. No one knows whether the Poles intended to send their loot to the King of Poland, Sigmund III or use it to finance their rule over Russia. Whatever the intention, the stolen treasures were lost in-transit, on the way to Smolensk. Instructions as to where to find the lost treasure have since surfaced: the valuables are apparently buried 2,100 feet from a local miracle worker’s barrow, near the Khvorostyanka River. The directions would be straightforward, if it were not for the fact that there are hundreds of barrows fitting this description. Experts recommend that treasure hunters search for the Polish loot near what is now the city of Mozhaysk. What to look for: Valuables, jewelry, gold and silver. Where to look: Mozhaysk, Moscow Region. When Napoleon decided to abandon Moscow in October of 1812, his troops started their long journey back on the Staraya Kaluzhskaya road; but Russian troops barricaded the route and forced the unwelcome foreign guests to retreat along Staraya Smolenskaya. Napoleon had two wagon trains: the so-called “golden train,” carrying valuables looted from the Kremlin; and the iron train, full of ancient weaponry. As they retreated, Napoleon's exhausted army was forced to abandon some of their spoils. Historians believe the valuables were thrown into one of the lakes west of Smolensk Region. Over the years there have been a number of attempts to find the abandoned loot. In the early 1960s, for example, a communist group organized a special expedition to the lakes around Smolensk, but had no success in locating the spoils. Recently, geophysicists discovered high concentrations of gold and silver in the waters of Semlevskoe Lake; today, this is the most popular destination for seekers of the Napoleonic hoard. What to look for: Ancient weaponry, the gold-plated cross from Ivan the Great’s bell-tower, silver chandeliers, candle-holders, diamonds, gold coins and bullions. Where to look: Semlevskoe Lake, Semovo village, Smolensk Region. This legendary library, whose last known owner was Ivan IV, is the ultimate prize for thousands of treasure hunters all over the world. The collection includes 800 volumes of rare and valuable books, including Titus of Libya's “History,” Virgil's “Aenead,” and Aristophanes’ “Comedy.” According to Vatican archives, the Polish ambassador Lev Sapeg was sent on a special mission to find the lost library in 1601. More than 400 years later, the search is still ongoing. It is believed that the library was first owned by Byzantine Emperors who had accumulated the collection over several centuries. After the fall of Constantinople, the books went to Rome and eventually ended up in Moscow as the dowry of Byzantine czarina Sofia Paleolog. The czarina has been sent to marry Ivan III, Ivan the Terrible’s predecessor. There are more than 60 accounts of the library's location, but three are most probable: the underground passages in the city of Vologda – Ivan the Terrible's northern residence; the Alexander Suburb; the Moscow Kremlin or the Kolomenskoye Estate in Moscow’s suburbs). What to look for: 800 volumes of rare Byzantine books. Where to look: Moscow, Vologda or Alexandrov. The treasure accumulated by the infamous Cossack Stenka Razin (Stepan Razin) is said to be hidden in a barrow near the village of Peskovatka, in what is now the Gorodischensk region. Razin was the leader of the largest uprising in pre-Petrine Russia. Legend has it that, before he died, Razin filled a longboat with gold and silver and rowed it toward the village at high tide. After the water had subsided, he buried the treasure-filled boat and planted a willow on the mound to mark the spot. After Razin was caught, the czar’s detectives had no one to help them locate the “willow stash,” and no amount of torture would make the Cossack disclose the secret himself. Since then, local residents and visitors have dug up a number of mounds in Peskovatka and uprooted hundreds of willows, but Razin’s stash remains intact. What to look for: Gold and silver coins from the 17th century. Where to look: The hamlet of Peskovatska, Gorodischensky District, Volgograd Region. Czar Nicholas II may have relinquished the throne, but he remained the richest man of his time. When he was exiled to Tobolsk, the Romanov ruler was allowed to take some of the family treasures with him. However, upon reaching Tobolsk and sensing the tragic fate that was to befall him, the czar divided the treasure three ways and entrusted it to his loyal servants. The valuables were then taken out of the Tobolsk governor’s house where the czar and his family were being held and hidden in a safe place. Later on, KGB servicemen discovered part of the Romanov treasure and confiscated two stashes. These collections contained 197 items that held a combined value of three million rubles ($96,000). The Soviets later used these valuables to buy supplies for Russia. The third stash has yet to be found. It was rumored that the czar's security guard, Kobylinsky, gave some of the treasures (including the family’s gold swords, the emperor’s daggers, and the empress’s ornament cabinet) to Omsk resident Konstantin Pechakos. The secret police also got wind of this account. Konstantin Pechakos and his wife were found and tortured, but their lips were sealed. Pechakos never denied that he had hidden the treasure. However, since he had given his word to the emperor – and therefore to God – Pechakos would not reveal the location of the Romanov valuables. The authorities searched every inch of Pechakos's house, but nothing was ever found. What to look for: A cabinet with Empress Alexandra Romanova’s ornaments, the family ceremonial swords and Emperor Nicholas Romanov’s daggers. Where to look: Konstantin Pechakos's house, Omsk, Siberia. The crown of Yemelyan Pugachev has never stopped inspiring treasure hunters. Pugachev was a pretender to the Russian throne who passed himself off as Czar Peter III in the Time of Troubles. According to local legend, Pugachev hid his splendid diamond-encrusted crown in a barrow near Pugachevskaya station, in the Kotelnikovsky district of the Volgagrad region. Pugachev wore this crown when he posed as Czar Peter III to rally troops for his march on Moscow. Pugachev and his peasant army raided aristocrats’ houses all the way to Moscow, burying their loot before moving on. The fact that Pugachev's troops were often attacked suggests that they were carrying considerable riches. In his advance, Pugachev attracted thousands of troops – part of the treasure was most likely used to draft in soldiers. What to look for: A gold crown encrusted with diamonds. Where to look: Kotelnikovsky district, Volgograd Region.